Mr Rooter Plumbing serves Maitland Florida homes and businesses 24 hours a day, 7 days a week. plumbing emergencies do not occur during traditional business hours, and we don’t think you should have to pay extra for after hours plumbing services. We are available to you, with no extra costs, regardless of the time of day, or the day of the week. Maitland Florida is beautiful, historical community, rich with outdoor activities and community parks and we are proud to be a part of this community. Maitland Florida is rich with history, culture and home to 5 museums. 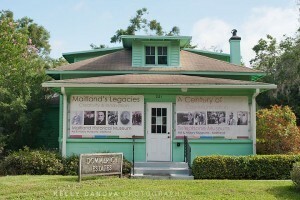 The Maitland Historical Museum’s permanent exhibition “Maitland Legacies: Creativity & Innovation” guides visitors through the evolution of the community. In addition to the permanent exhibition, the museum features a variety of rotating guest exhibitions. The Maitland Art Center was founded as an art colony in 1937 and gives visitors the opportunity to discover the artistic and architectural inspiration that Maitland was founded on. Through gallery exhibitions, art programs, and instruction, the Maitland Art Center supports emerging artists throughout the community. The Telephone Museum offers visitors the opportunity to experience early telephone service, and details the evolution of telephone technology through the years. If you appreciate carpentry and woodworking, don’t miss the Carpentry Shop Museum where you will find the tools and materials used during in building during the Victorian era. The Waterhouse Residence Museum showcases Victorian era Florida at it’s finest. Built in 1884 by William H. Waterhouse, the home has been carefully restored to reflect the how middle-class families lived during the Victorian period in Maitland Florida. Are you experiencing any of these symptoms with your water heater? Rumbling or popping noises, water leaking or seeping from base of the unit, discolored water, or poor hot water pressure? If so, call us now. Hot water heater repair can be accomplished fairly quickly, and before you know it, your family can be enjoying hot showers once again. Perhaps we will need to repair your hot water heater in Maitland by replacing a control valve, or the anode rod. Or perhaps, you will choose to install a new hot water heater. New energy efficient water heaters are available, including new “tankless” water heaters. Ask our expert plumbers for more information on replacing your water heater to a new energy efficient model today. Mr. Rooter Plumbing knows that the last thing you want during a plumbing crisis is to leave a voicemail message. That is why we staff our phones 24 hours a day with professional live operators that can dispatch one of our plumbers to your home or office. Our team is comprised of true plumbing professionals; all of our technicians have successfully completed professional training. Prior to becoming a plumber with Mr. Rooter Plumbing, all technicians must pass a background check, and drug screenings. Mr. Rooter Plumbing of Central Florida is fully insured, bonded and licensed (Lic #CFC1427639); rest assured that when you need plumbing repairs, we have the technicians you need. Mr. Rooter Plumbing of Central Florida is staffed with local professionals, to ensure that you have the plumbing expertise you need, when you need it. Call us today for emergency repairs, or routine maintenance; we are always ready to help our neighbors. Clogs can slow down and interrupt your busy life, so call on Mr. Rooter right away. If it happens once, it can happen again—and potentially ruin your plans, property, and budget. Once you schedule an appointment, your clog is our problem. We can take care of it ASAP and work around your schedule. Even if your clogs happen at odd hours, we never charge overtime. Sewer and septic backups can mean serious business. Damage resulting from a backup is not only messy, but poses a health risk to your family as well as the environment. At Mr. Rooter, our highly skilled plumbers are well-trained in handling all types of septic and sewer backup issues, from drainage problems and home damage to environmental cleanup. Avoid hazardous backup situations; contact Mr. Rooter at the first sign of sewer or septic troubles. From running toilets to dripping faucets and oozing pipes, untreated plumbing leaks add up to more than one trillion gallons of water wasted per year. Don’t put your budget in a bind and risk potential structural damage, mold, and mildew issues. Address plumbing leaks promptly with the help of Mr. Rooter. We'll repair or re-pipe your plumbing quickly, as well as prevent future problems with the help of preventive maintenance.